Gary started his yoga journey in 2012 to help combat his mental health issues, mainly anxiety and depression. Having tried the usual approach visiting doctors and counsellors for a period of time, Gary decided to look into more holistic methods for dealing with and coping with his issues. After attending 1 yoga class a week for 2 years in his local community and visiting his local kinesiologist for work on his energies, Gary could really see the benefit of taking the holistic approach. So, after the 2 years something had changed both mentally and physically for him and he was ready for a new direction within his yoga journey. And after a chat with his yoga teacher at the time, he was told about the Ashtanga practice [which he knew nothing about]. And that was the start of it all for him, he attended a few more regular local classes but soon stopped so he could start delving into the Ashtanga system whole heartedly. Having been giving 'David Swenson's - Ashtanga Yoga Practice Manual' by his former teacher Gary started his Mysore style practice at home with the help of the 'Practice Manual' [which I now call my yoga bible]. So for the next few years Gary practised on his own learning so much about himself and his body. Eventually telling his friends about it all and encouraging some of them to start a yoga practice too. Which some have done. 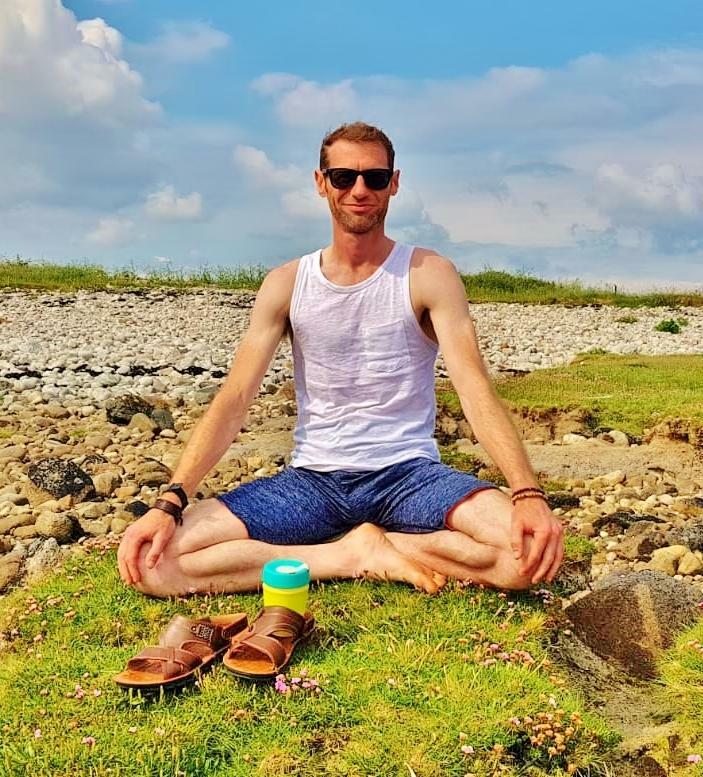 In June of 2015 Gary along with his close friend Stacey decided to travel to Mysore, India the home of Ashtanga yoga, they both attended and achieved certification in a teacher training program, which was very intense indeed but totally enjoyable at the same time.